I’ve been debating for a while if I should do said Santarchy. I love SF specifically for this kind of insanity. 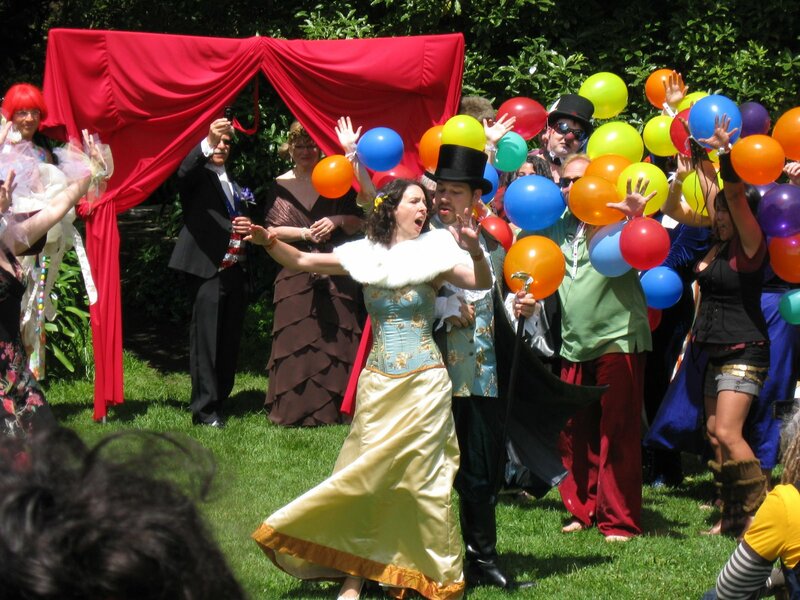 The Valentines Day Pillow Fight, BYOBW, Flash Dance, even Critical Mass which I personally find very annoying but still appreciate the activity. The question was really how I should participate. With an undergrad in theater I don’t think I could show my face to my fellow alums unless I did something special for a very special event. 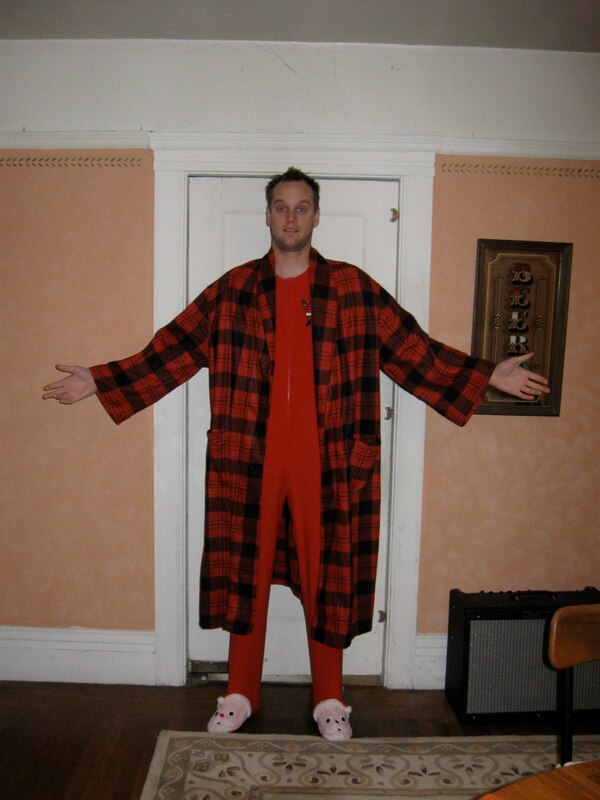 1) An awesome adult size onesie. I was going to order one online that fits but I decided to go too late. The price to have it next day aired was ridiculous. Besides, this one looks more amusing. 2) A robe. It’s going to be pretty cold and I don’t think this onesie will handle all of it. 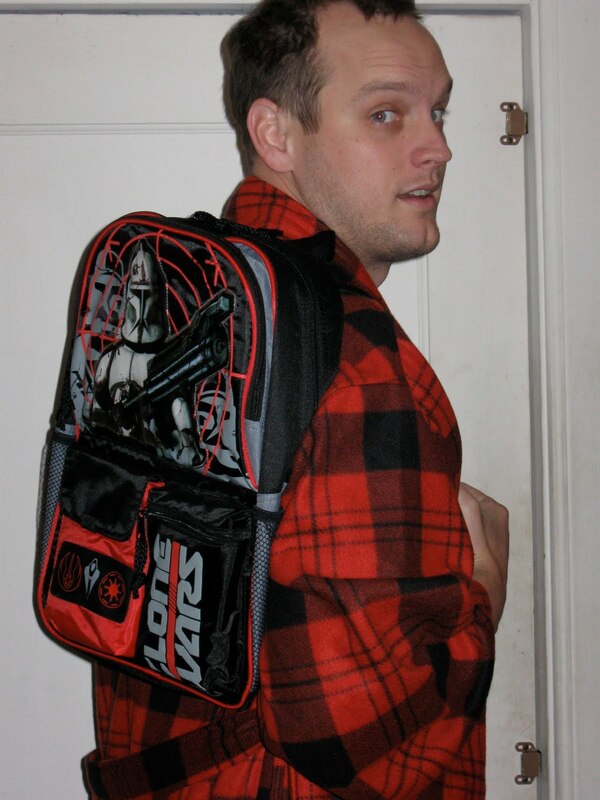 3) An AWESOME Star Wars back pack. Why the backpack? I’m going to fill it with cookies to hand out to the Santas. That’s how you get what you want from Santa, the same way a lobbyist would do it… bribes. I look forward to the awesomeness tomorrow. You should look forward to a fun post next week, when I will be posting multiple times because *HOORAY* I’m out for the semester… until I go on a study tour to Dubai, Abu dhabi, and Istanbul that you can read about on this blog that I will be writing/editing entries. You know how sometimes clothes shrink the wash? Like you buy something that’s 100% cotton and you wash it without really thinking about how it’s going to shrink because who wears anything that isn’t already pre-shrunk? I think that happen to the Muni bus that I was on the other day. It was a lightly rainy day in San Francisco and I had just had breakfast with my friend Jonathan. I’d left my truck over by the very same bar I mentioned in my last post so I caught the bus with him as he was going to work. But when I got inside, I was amazed because I couldn’t fully stand up. I’d forgotten that this happens sometimes in the city. 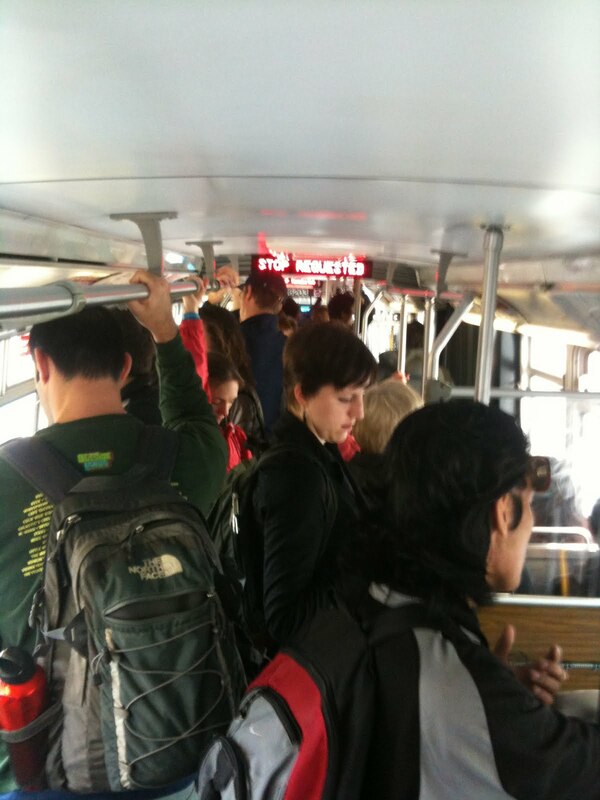 There are a few bus’s in service that for some reason are magically shrinking as you head to the back. If you’re not careful you can be knocked unconscious by the signs that hang down to display where you are on the route. 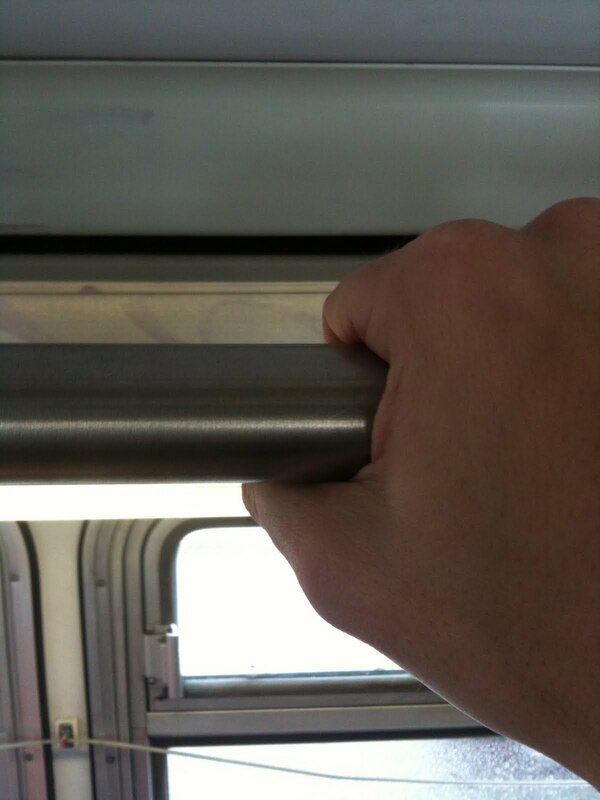 Fortunately for me though there was a spot right under the emergency exit door. And what a wonderful spot it was. I had such an amazing view of this wonderful city I call home through the windows. I wish I had some video of when I was about to hop off. I got closer to the door with the stop a few blocks up. As the bus popped from side to side, I started to pretend like I was skiing, much to the delight of Jonathan and our friend Juan who we ran into at our first stop. 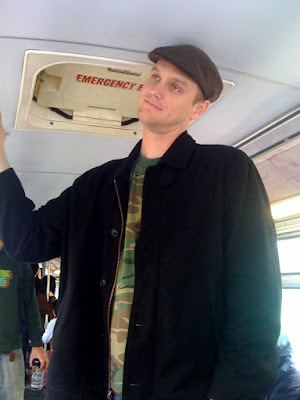 They were so amused by how I couldn’t fit on the bus that they took this photo I posted on Facebook last week. 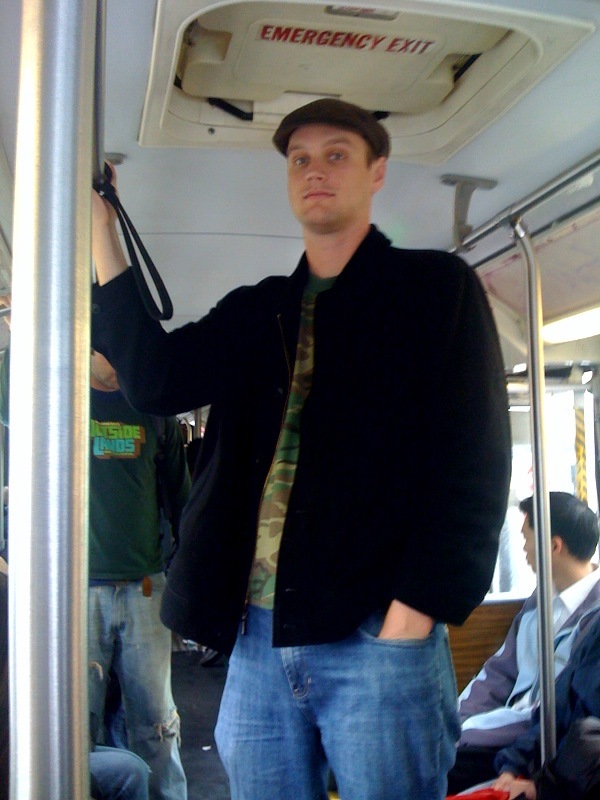 Ah, being tall on Muni. 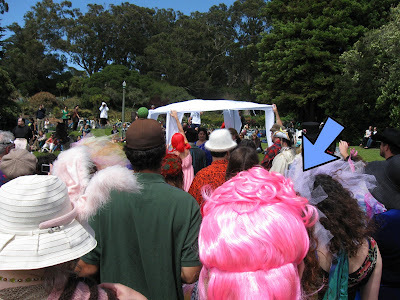 Saturday, after spending a Friday night preventing a total stranger from dying of alcohol poisoning (that was a bonding experience for all involved), I went to a friends wedding in Golden Gate Park next to the Conservatory of Flowers. Only it was…. slightly different than most. I want to use words to describe it, but really the photos/video do it more justice. I regret not bringing my full on, heavy duty professional grade video camera so I could share it better. Apologies. A number of the people involved go to Burning Man every year. Whatever one might think of the actual Burning Man event, this is the kind of thing they do the rest of the year. The groom is one of the 5 other people I work with to put on the “Bring Your Own Big Wheel Race” every year and he also works to organize other free/fun events in the city. And while Burning Man may be associated with less wholesome activities, this wedding was very mellow with a number of park goers coming out to watch the fun people who could care less what anyone things about them throwing one of the funnest weddings ever. Completely sober, completely in public and completely awesome. Check it out here.